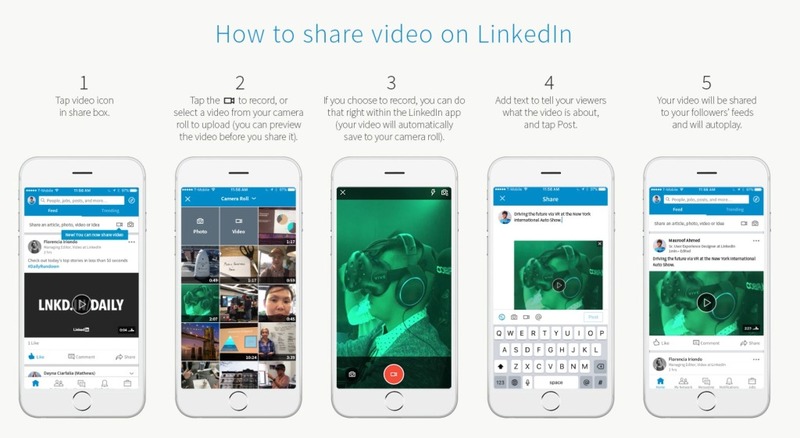 LinkedIn started rolling out the ability to record and post native videos directly from its mobile app today. The idea behind the feature is that you can post a video from a conference or a quick take on the day’s headlines from wherever you are, directly to your connections on the site. Videos can be viewed on desktop and mobile, and posters will be able to see analytics, including the number of views and likes a video has gotten, as well as where viewers work and their job titles. The feature is being beta tested now with a select number of users before rolling out to the full LinkedIn community.